If our Creator would choose to write a book and deliver it to mankind, we would expect it to be a book of exceptional wisdom. The Torah is clearly such a book. Monotheism greatly simplifies our understanding of the universe and originated in the Torah. Altruism, the idea of caring for other people without getting anything in return, is something which brings great happiness to the world and originated in the Torah. The concept of the weekend brings a welcome periodic respite from work and originated in the Torah. Pleasure is psychologically necessary, however it's easy to slip into dangerous addictions. The Torah teaches us how to live a balanced life. To help us to observe all the above, Judaism includes a total educational system. 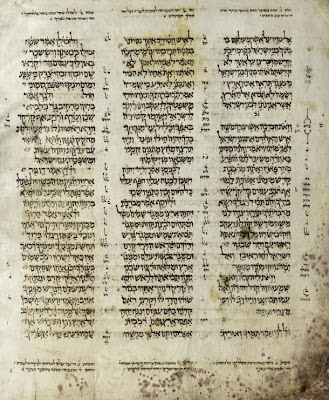 The Torah is also the oldest book written using an alphabet. Instead of being a meaningless story of violence, like for example the Iliad, the Torah is a book which more than any other has changed the world. Too bad it contains stories like the Epic of Gilgamesh. I have more respect for those that came before Judaism. Why did the Pharisees have to steal the story? No one stole it. The flood happened and everyone knew about it. and not to mention how on more than one occassion I have given you rabbinical opinions on the greater disorganization and corruption of the texts by your own rabbis. There is a reason today there isn't a single kosher Torah scroll with which we can have a Torah that is even remotely reliable. Monotheism did NOT originate with Judaism. No matter how many times you keep repeating this lie, it won't make it true. "Monotheism greatly simplifies our understanding of the universe and originated in the Torah." By what criteria can we say that monotheism greatly simplified our understanding of the universe? I'm not saying the claim is wrong; I'm just asking, "how can we tell?" "the Aleppo Codex is dated 10th century There is no way you could ever prove TMS with this"
"By what criteria can we say that monotheism greatly simplified our understanding of the universe?" Does the link I provide here help? I'm happy to read that god is back. Fortunately its not your god. If you'll just grant me 15 minutes alone in a room with you, I'll easily indoctrinate you to worship the True Creator of Heaven and Earth --Karni Mata, the Rat God. Perhaps rats are not inspirational enough for you? Well, if you're that tepid, perhaps I may interest you in worshipping Vac, the ancient Hindu cow goddess. You might even consider the highest form of cow worship, drinking their urine. And if you have any regrets about converting to Hinduism, you might find it a suitable substitute for shabbos morning kiddush. If you're not convinced yet, have a look here and you'll have no problem in quickly abandoning hashem. I think the book is talking about the Biblical God. Now does G-d consider the pain and suffering of creation? mmmm! Gilgamesh and the Torah both record an actual historical event: the Deluge, as do many other ancient traditions. "if G-d exists, is he/she merciful?" The Talmud states R. Gamaliel Beribbi said: “And he shall give thee mercy, and have compassion upon thee, and multiply thee” He who is merciful to others, mercy is shown to him by Heaven, while he who is not merciful to others, mercy is not shown to him by Heaven.